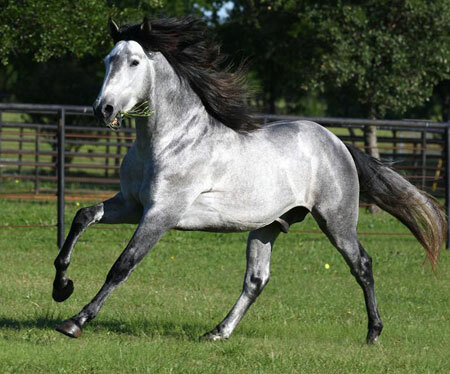 We are proud to feature some of the Andalusian horses that we have bred or sold, and their new owners. Willa is a total Joy. 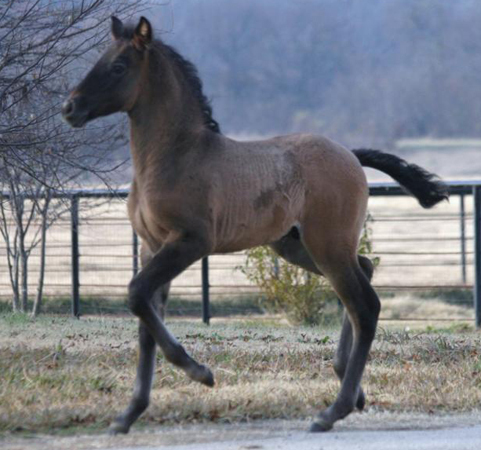 She greets me everyday with a bright whinny. She is very intelligent and learns quickly. She is bold and inquisitive, yet sensitive and very soft to cues. Willa's conformation is exceptional. She has the bone and substance to stay sound and strong. 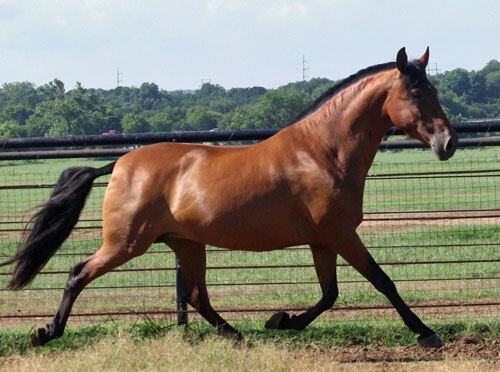 She has a good hip and hindquarter. Her eyes are soft, but have fire. She has been exactly what I was looking for in my next partner. 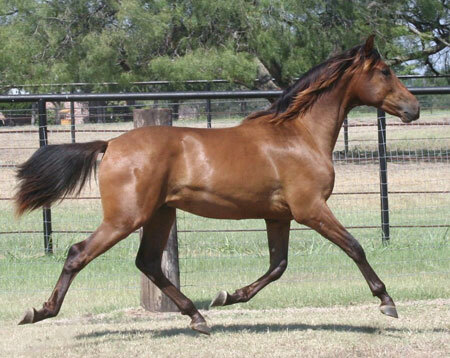 I chose to buy a horse from you because I noticed how nice the conformation was of all the horses you were producing. They have good substance and bone. 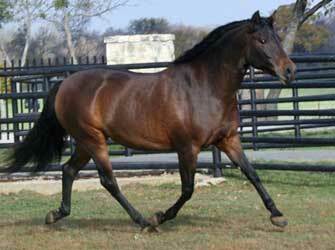 They have balanced gaits that can easily compete with any breed in the disciplines I like, namely dressage. 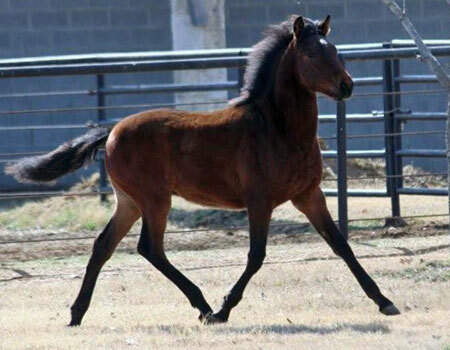 I noticed your horses appear bold, but they are also sane. 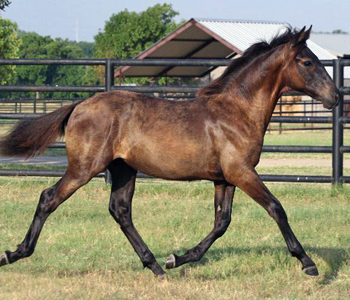 I found every horse in every picture looked well fed, well groomed, and well managed. You clearly have very able handlers and trainers. The reviews of your horses were all very good. 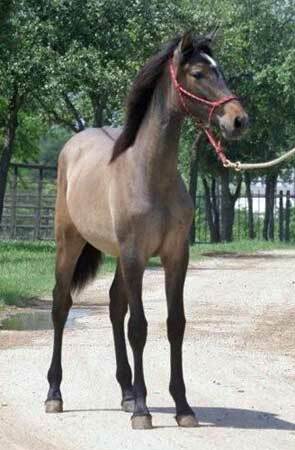 So, I felt that your horses would be a good match for me. 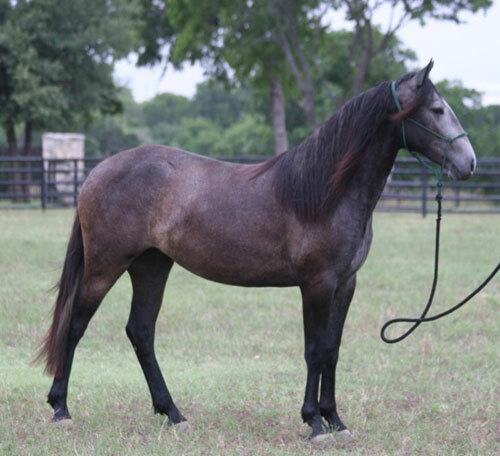 I have wanted to get a pure Spanish horse for some time now, and finding what I was looking for in terms of conformation, disposition, ability, and overall quality was not so easy. 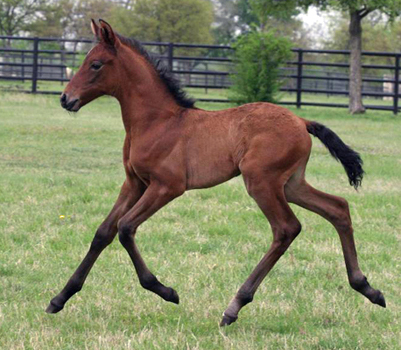 These horses are quality through and through. So, I would strongly recommend your breeding program to anyone. 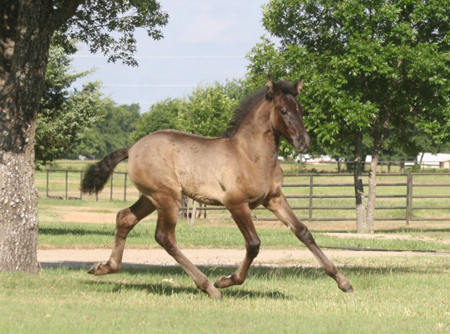 Before Zeke came into my life, I had literally just lost my "heart horse" of 20+ years, an Andalusian gelding named Sweet Life Antonio (aka, "Bravo") who I'd lost suddenly just a few weeks short of his 25th birthday. 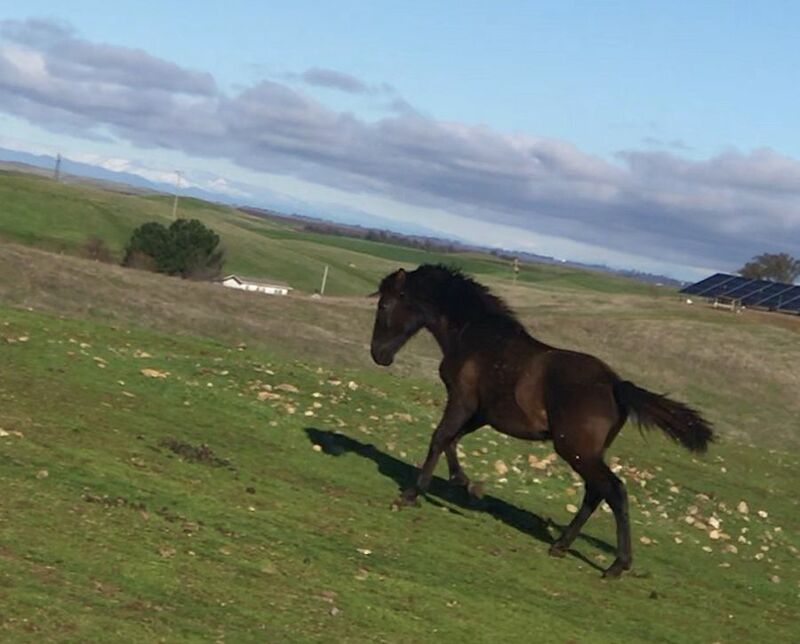 My heart was broken and I felt lost without a horse in my life. 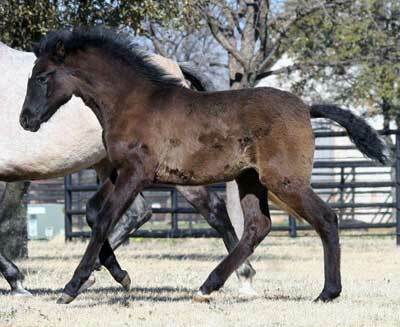 I knew I wanted another Andalusian and I had seen Terri's Facebook post about a filly that had just been born - on my birthday of all days. I saw that as a sign, so I contacted Terri and I recall telling her about my past riding experience and my current goals. 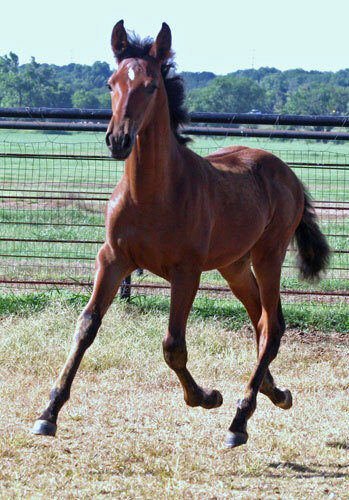 Rather than the filly I called about, Terri suggested Zeke for me, and ironically, my response was, not very enthusiastic (LOL! ), although I don't recall exactly why. 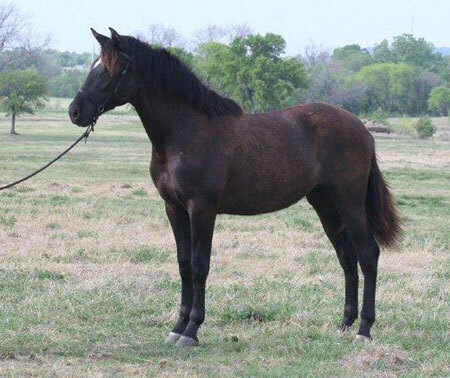 I can laugh at it now, because after initially passing on Zeke, and looking around at some other horses, one night I was sitting at home and very clearly and strongly the thought came into my mind that Zeke would be a very nice horse for me and that I think I wanted to buy him. I immediately contacted Terri, made arrangements to fly down to visit her and meet Zeke, and the rest is history. I think about how lucky I am that Terri matched us up and that I circled back to him, because I believe we were meant to be together. 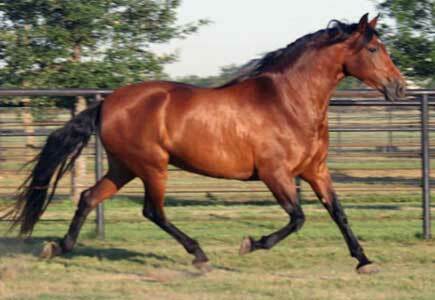 He is the perfect horse for me. While I never imagined I could love another horse as much as I loved my dear Bravo, I've come to love Zeke every bit as much as that - with all my heart. Every day that goes by, I think how lucky I am that Terri matched us, and that I have him in my life. He's only just coming three as I write this, but we've developed a close bond as he learns to be a grown up horse more and more with each passing each day. 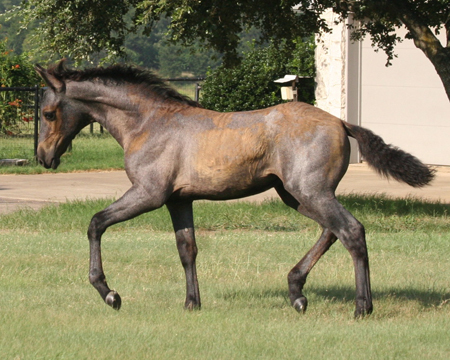 Terri knows her horses and their offspring extremely well - he was exactly as she described him to me - curious, smart, and kind. 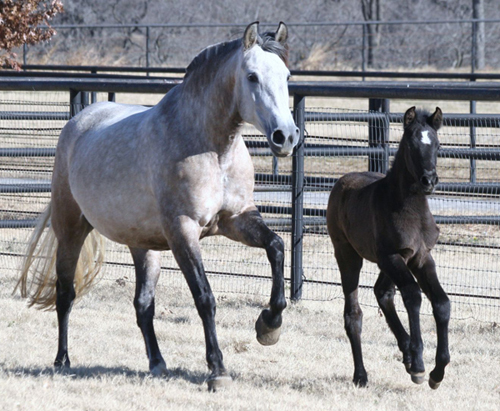 She did a wonderful job with him as a foal introducing him to various objects and activities that would be useful later as his training progressed, and he approached them with confidence, trust, and a willingness to learn. Sometimes he's so well behaved that I forget he's only three! Anyway, I look forward to our future and hope we have many happy years together. I'm forever grateful to Terri for bringing Zeke and I together. 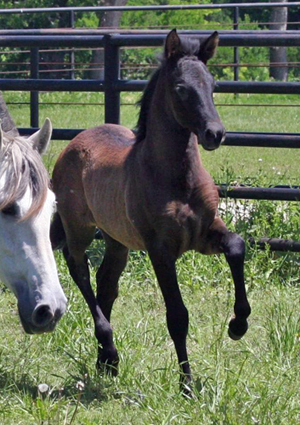 I have been a horse lover ever since I was a little girl. 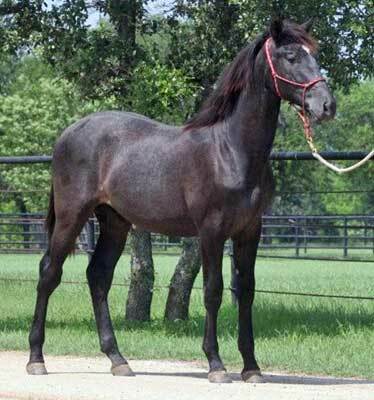 Aside from dreaming of simply owning horses when I grew up, I had a couple of breeds in particular that I was always in awe of and especially wanted in my life. 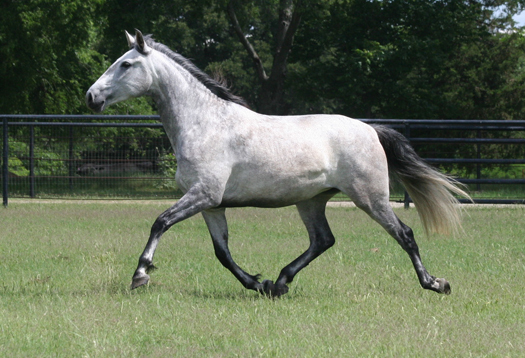 An Andalusian was one of those breeds. 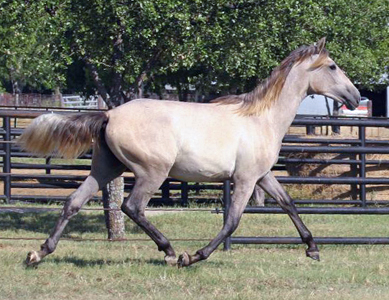 After searching exhaustively for reputable and knowledgeable breeders in the United States, I found Terri Meador of Herradura Andalusians. 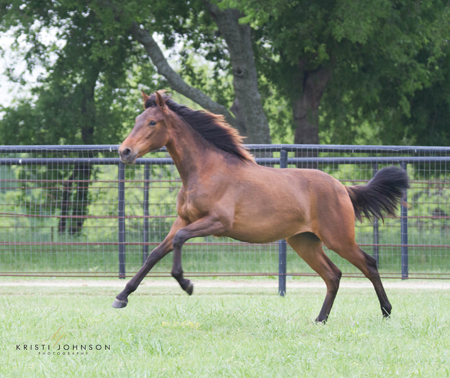 I spent hours on her website looking at all of her beautiful horses and reading everything I could about her farm, her background and more. I contacted Terri via email and eagerly awaited her reply, as I asked about visiting her farm. I was excited when she replied very quickly and we arranged a date for my husband and I to come out to her farm. That day finally arrived, and I met with Terri at her gorgeous property. 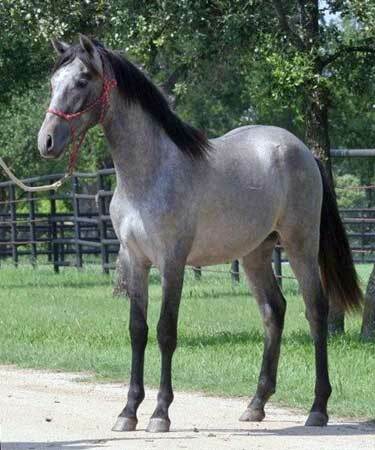 I had never seen an Andalusian in person, and her horses took my breath away. They were everything I thought they would be and then some. After talking with Terri at length, I thanked her for her time and assured her that I would be back some day to buy a horse from her. 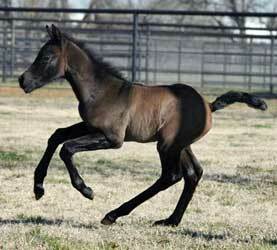 A year later, I went back to Terri's farm to see three foals that were just born a few weeks prior. My hope was that I would be meeting my future partner. 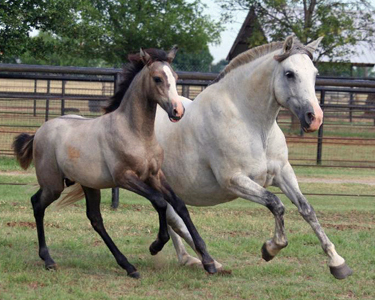 I had the pleasure of interacting and playing with three new Andalusian babies, which I highly recommend to everyone! Baby #2 was it for me and I knew it pretty quickly. 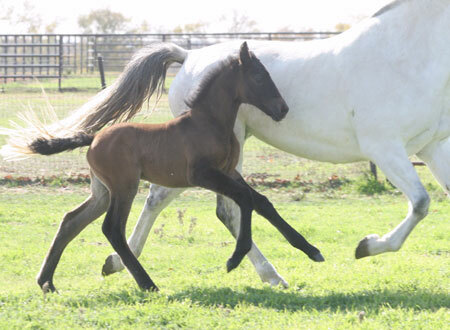 I watched this little one emerge from the stall with his mom into the paddock. I watched him and everything he did, and I knew he was the horse for me, that his "horsenality" was a perfect match for my personality. I saw that he was confident, but cautious. He was curious but level-headed. He was friendly and lively, and boy was he stunning. 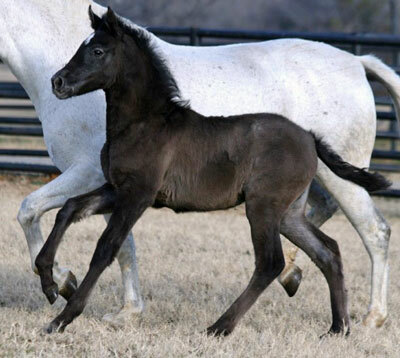 Terri told me that this jet black little colt would turn grey like his mom. 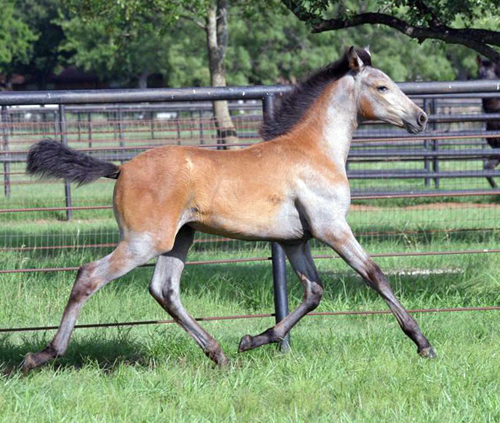 I had to wait several months before I could bring Kaiser ("Kai") home, as he had to be weaned first. During that time, I would visit him when I could. Each time, it was clear that Valente and Terri had spent quality time with him, as his ground manners were wonderful already. Valente showed me that he'd been picking his feet already, grooming him, and could already place a saddle on Kai's back without Kai reacting to it. In November of 2018, I was finally able to bring Kai back home. I was nervous about the trailer loading and the road trip. After getting the trailer set up and comfortable for Kai, it was time to bring him out. Valente led him out and handed me the lead rope. I greeted Kai and prepared to load him up. I was prepared for it to take quite a long time potentially, since he was just a baby. 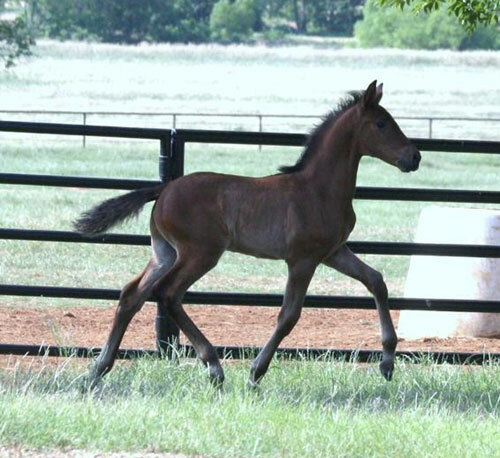 But, much to my astonishment, this little horse walked into the trailer by himself, before I even asked him to! He then stood in there, waiting on me! I was so dumbfounded that I stood outside the trailer just staring at him in disbelief. After a 5 hour road trip, we arrived at the new barn. 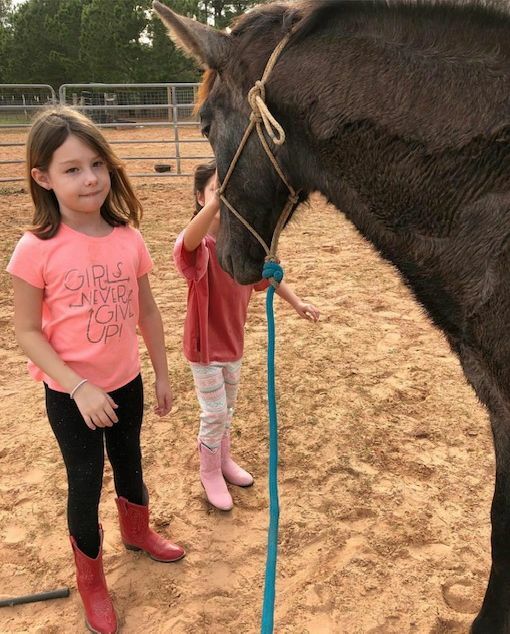 There was a lot going on at the stable: turkeys, chickens, ducks, geese, cats, dogs, a cow, a pig, and numerous other horses. Kai unloaded flawlessly. He looked at his new place, and took it all in. He didn't try to bolt, nor did he try to leave me. Where I walked, he walked with me. In a matter of minutes, all of the turkeys, geese, ducks and chickens had come over to us and Kai didn't startle a single time. It was nothing to him. He was calm as could be. Fast forward to present day, January of 2019. 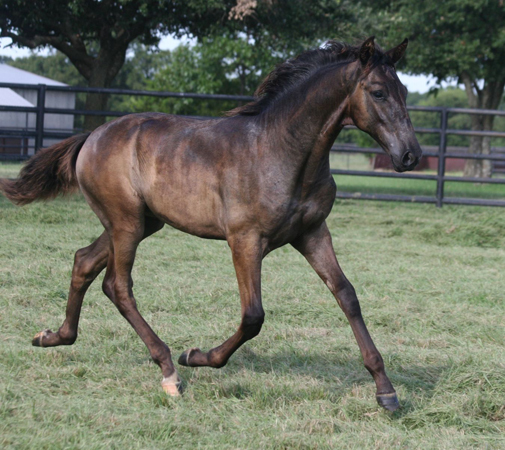 I cannot even begin to say how impressed I am with this little horse every time I play/work with him. 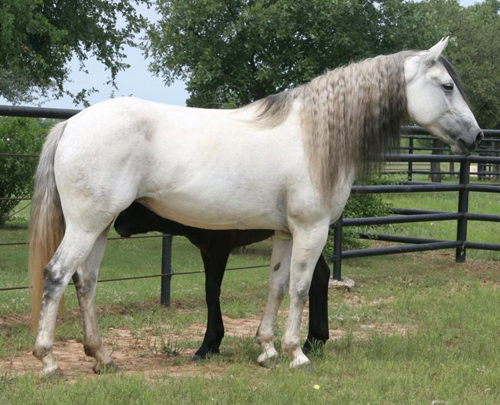 He is THE most affectionate, loving, sensible, intelligent, confident, forgiving, and beautiful horse I've ever met. He learns so quickly and is so willing to please. 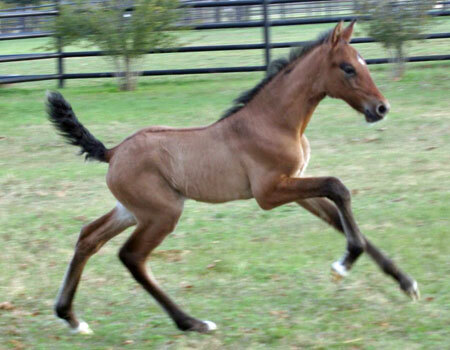 Ive been around horses all of my life, to include my professional life, and he is one-in-a-million. 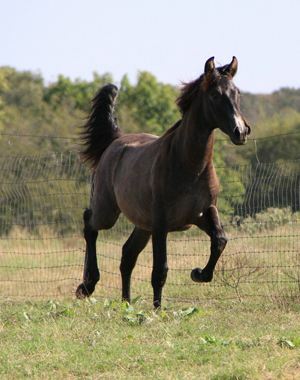 He is the horse I dreamed about as a little girl. 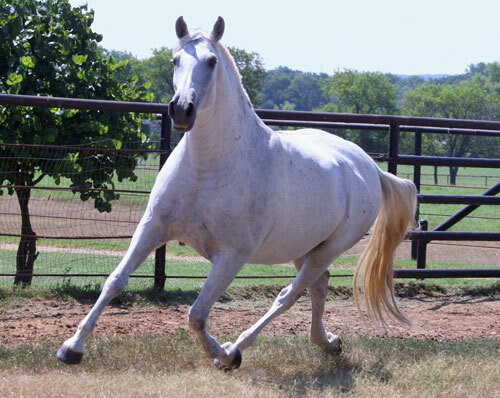 I am constantly complimented by other horse owners at the stable on Kai's laid-back temperament, and his extreme intelligence . All of this is possible because of Terri. 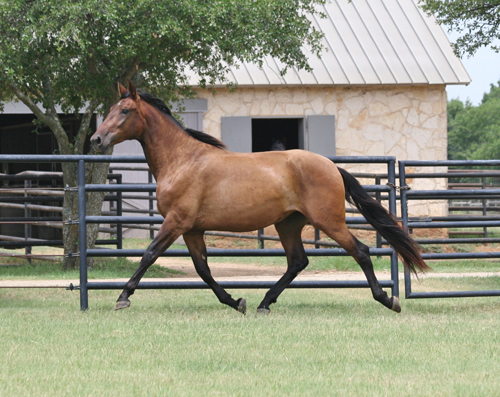 Her horses have impeccable bloodlines and from there, she and Valente consistently worked with Kai on early training and making him into a well-mannered colt. They laid a great foundation and I am lucky to get to build on that. 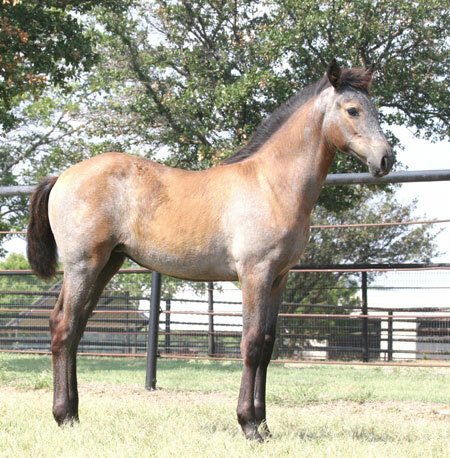 I am forever a fan of Terri's and Herradura Andalusians, and hope to be able to buy another Andalusian from her in the future! 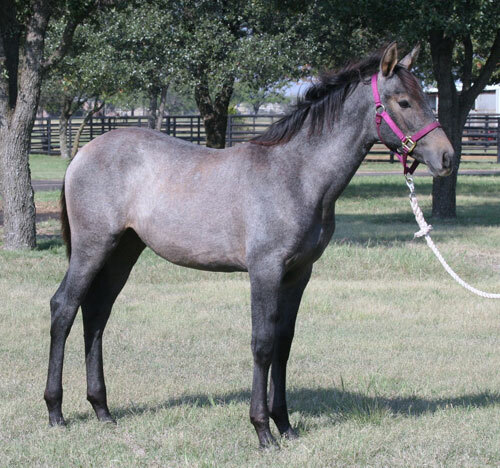 I talked to a lot of very nice people and I looked at many horses, not sure exactly what I wanted or could afford, before I went out to Texas. 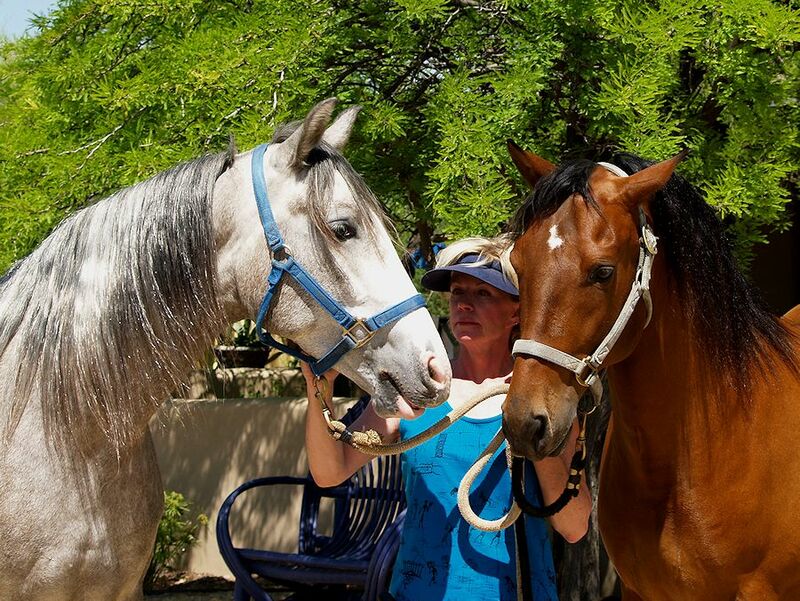 While there, I met a friend for life in Terri and my dream horse, Winston. Winston arrived at my home just before Christmas. 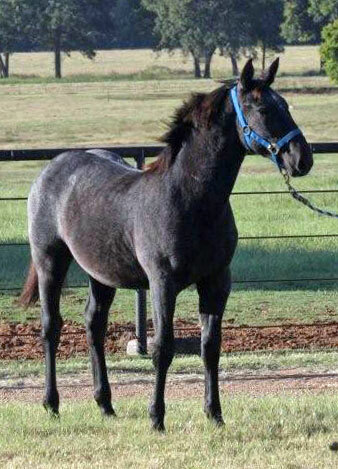 Who hasn't dreamed of Santa bringing them a horse for Christmas?? I was not disappointed! 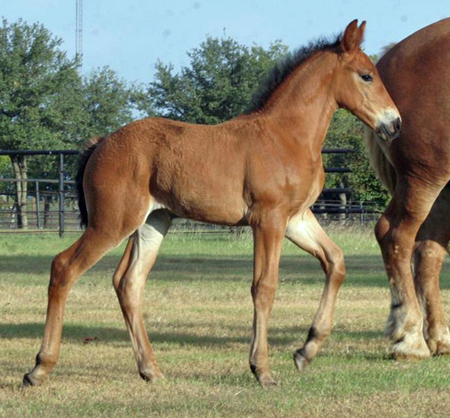 While in Texas, I had met a wonderful confident curious 1 week old colt. 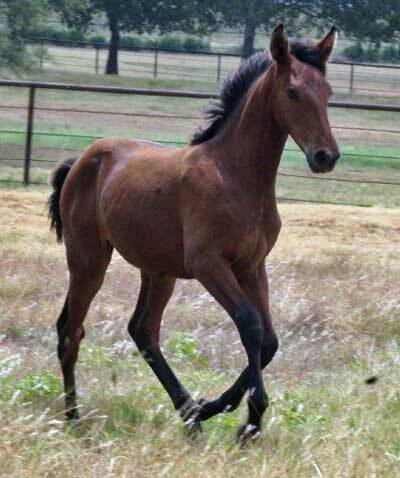 Who I received 8 months later was the most well mannered, friendly, confident weanling. 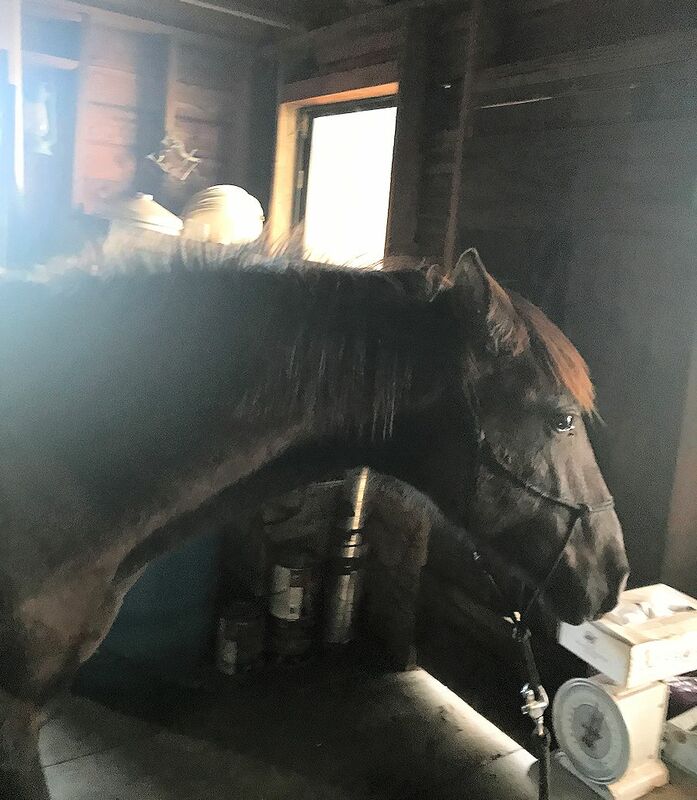 Winston is so willing to calmly do anything I ask: tarps, plastic bags, water, bridge,trailer and even short cut through the tack room. He is the most polite 8 month old. 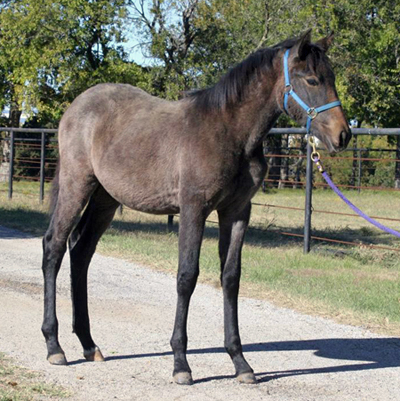 He always comes, he puts his head in his halter and stands great for the farrier. Even in the howling wind, he stands politely when I put his food in his stall and not mugging me for his food. I still can't believe he is really mine?? Beauty and a great mind-what more could anyone want? Everyone loves Winston. He is so friendly, polite , confident and easy to handle and just a joy to be around. 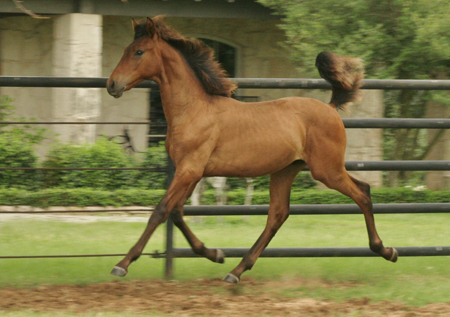 I searched for my next horse for 2 years. I live in Southern California and really wanted to find one close to home. 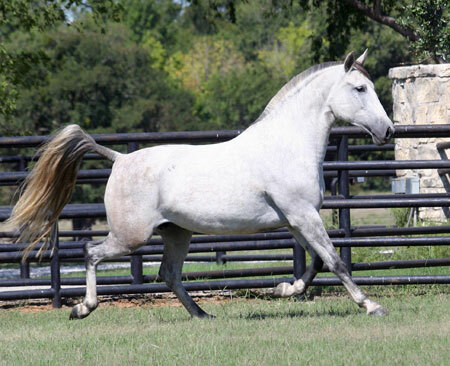 With no success I ventured outside the state via the internet and found Herradura Andalusians. I communicated numerous times with Terri via email and she was very helpful and willing to answer all my questions. 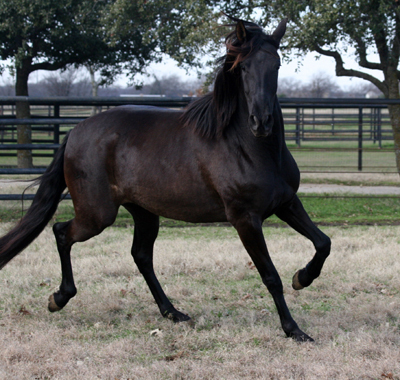 Upon my arrival at her lovely farm in Denton, TX I was welcomed like an old friend. 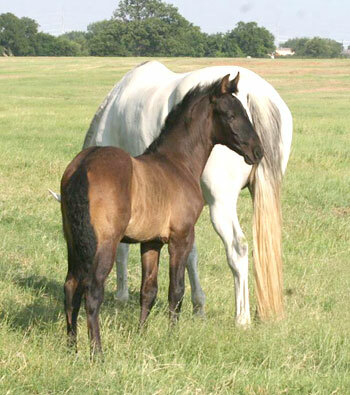 She was so patient and showed me all of her horses from pregnant mares, foals, weanlings and stallions. People would always ask me, "how will you know when you have found the right one?" I believe they find us! This was the case with Nydia. 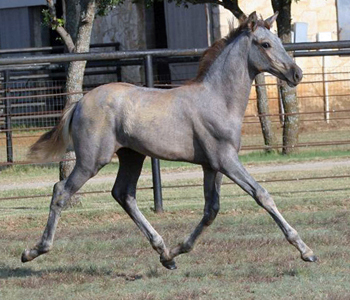 I saw her the first night I was at the farm and thought that she was really stunning but, I didn't want a grey. The next day I just kept going back to her. When I left I asked Terri for a couple days to think things over. 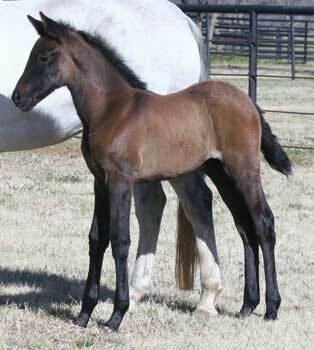 I couldn't get this filly out of my head. She had spoken to me. She had chosen her human. 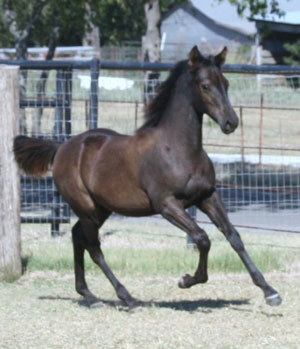 Nydia has been the sweetest, calmest, easiest, most willing horse I have ever been around! I get numerous compliments on her weekly on how beautiful she is. What ever I ask of her she does with no hesitation. 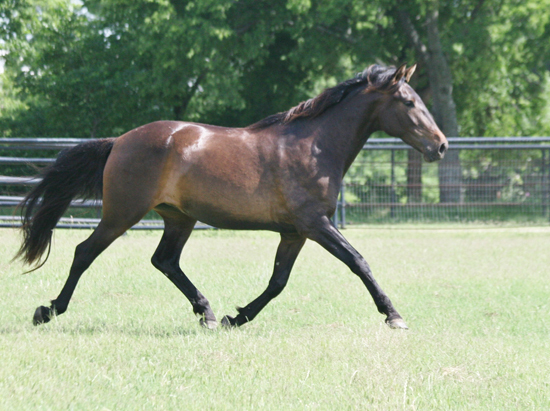 I have ground driven her, lunged her with the saddle on her, walked her over tarps, bridges. Anywhere I want her to go she is a more than willing partner. I will never go back to any other breed. 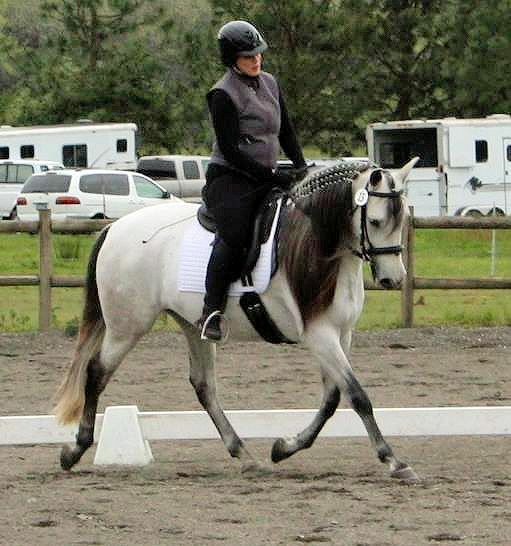 Nydia has proven that the PRE is the smartest, most athletic and willing horse for me! 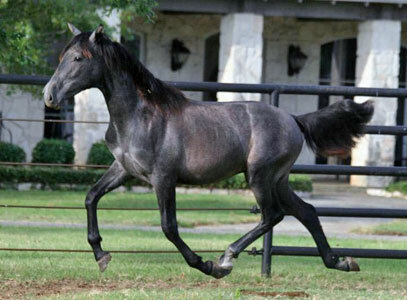 I met Terri and Herradura Andalusians when I purchased Aquileno. 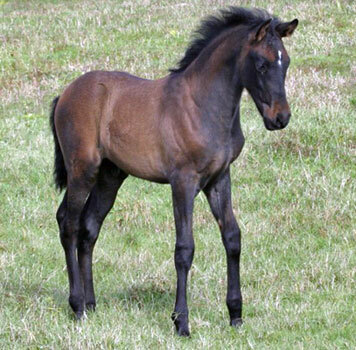 He was by Dadivoso XIV out of Marisma. 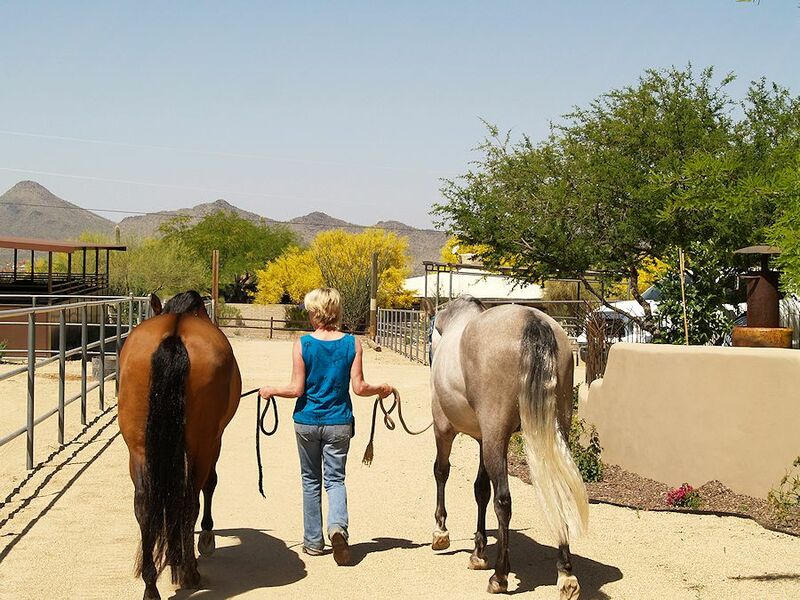 The minute I set foot on that property I could feel the bond between Terri and those beautiful horses. 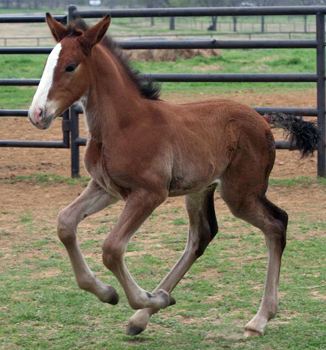 I spent 2 days there getting to know every horse and every baby on the property. Terri has such a connection with all of them, it's just incredible. 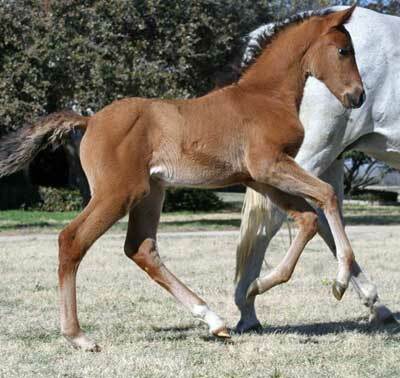 I left there knowing a lot more about Andalusians and knew I had also met a lifelong friend. 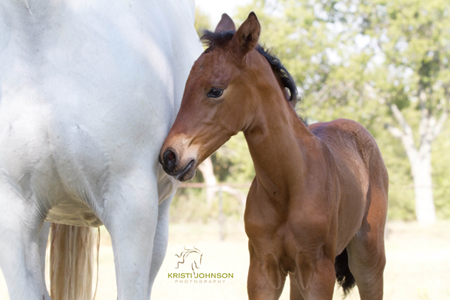 Terri knows every personality, every bloodline, every due date and everything that you need in a horse that maybe you don't even know you need. Aquileno is now 9 years old and is such a joy in my life. 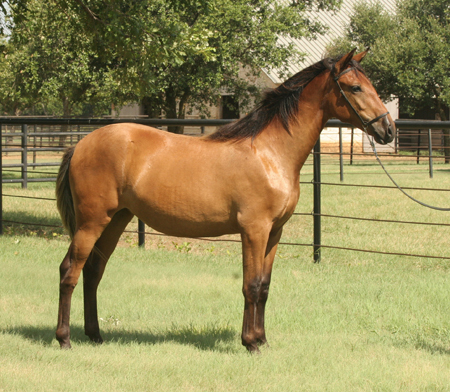 How can I be so lucky to have a dream horse? 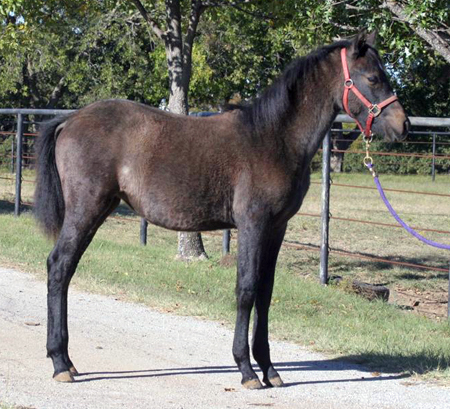 I'm not shopping for another horse right now, but when I do, I'll let Terri pick him/her for me. She's the ultimate matchmaker! Life is full of synchronistic meetings and Terri and Nicodemo H (St. Nic) came into my life as if perfectly planned. 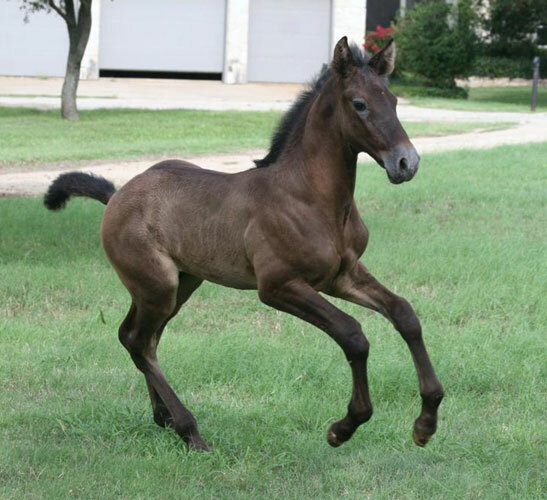 I have been in love with horses since I was a little girl, but had closed the door to ever owning another one after my Arabian gelding passed away. As life would have it, my children were going off to college and their exciting new lives and I was running a business and in a relationship that would both end, unbeknownst to me at the time. 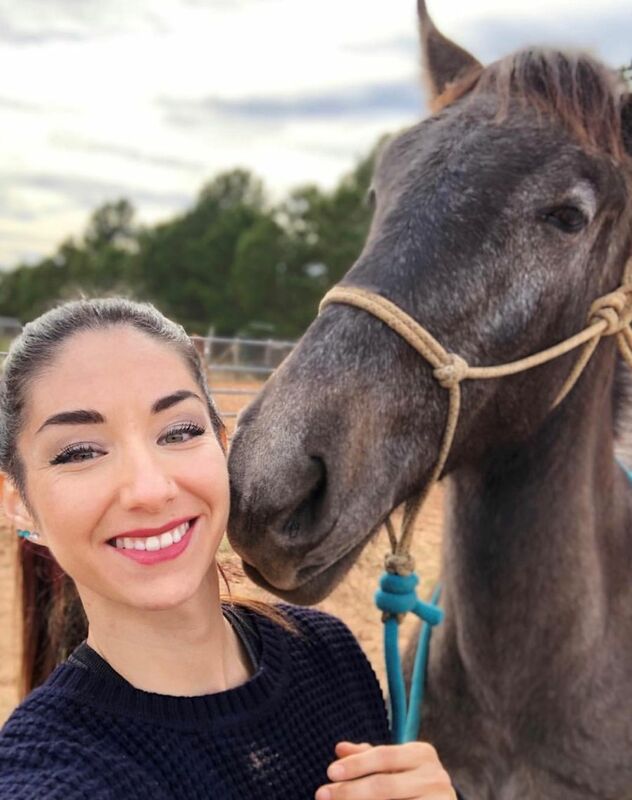 My partner and I went out with friends one evening and the wife of the other fellow had just bought a young Andalusian stallion and spent the evening telling me how much fun she was having and my partner said I should look at getting another horse. I was not convinced I wanted to reopen that door, but as I thought more about it I decided to take a short peek and see what was out there. Little did I or my partner know that I would open the flood gates! 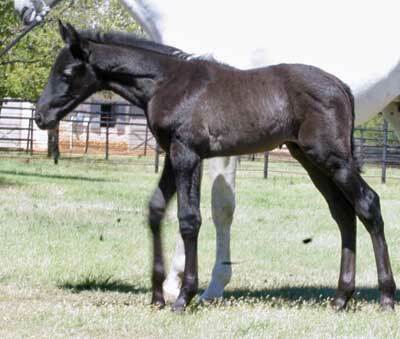 I spent one Sunday morning perusing the internet to land on a site that was a friend of Terri's and she had one of Terri's young ones listed. 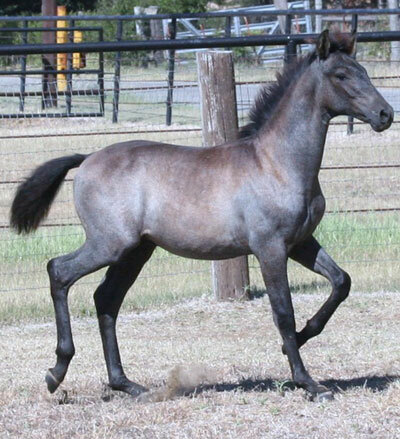 I had convinced myself that I was finally going to own a grey and Marengo was a beautiful young grey that stole my heart thru his pictures. 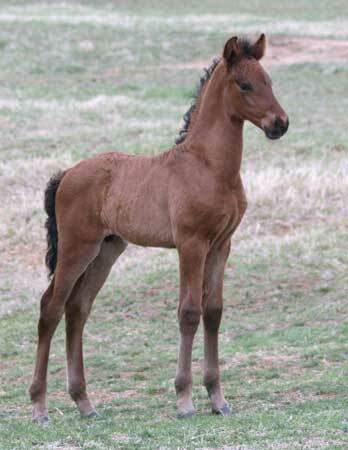 Sadly, Marengo was not to be the one, but I was at Terri's visiting when she brought out a two day old with the longest legs you could ever imagine and a curiosity and heart full of new life. He ran around his Mom and ran up to me with a look that stole my heart and swept me up into the most magical journey! 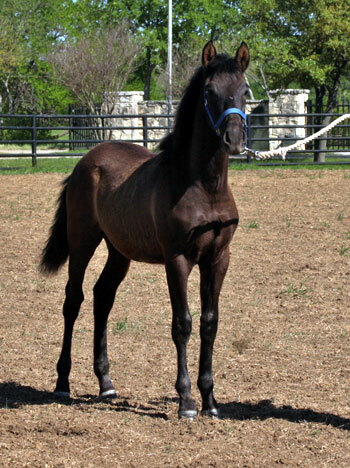 His name is Nicodemo H and I call him St. Nic - He is my joy, my partner on a new path back into the world of all that is Equus. Everyone at the barn St. Nic now calls home was concerned about having such a young horse come into the barn, as they had seen all kinds of bad behavior. 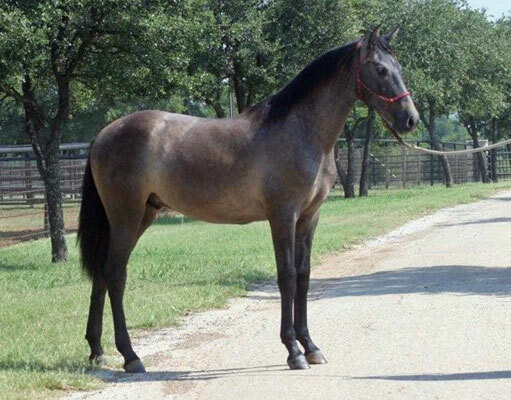 Their opinion of other young horses may not have changed, but St. Nic is the ultimate Gentle-man and has taught them that Terri has a special way with her animals and early training program that creates an intelligent, trusting, gentle, and unflappable youngster. 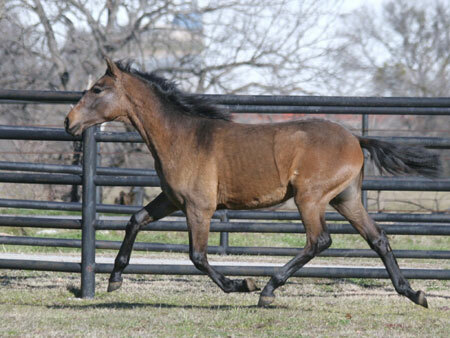 Her breeding program and early years development philosophy lay a foundation that is invaluable. 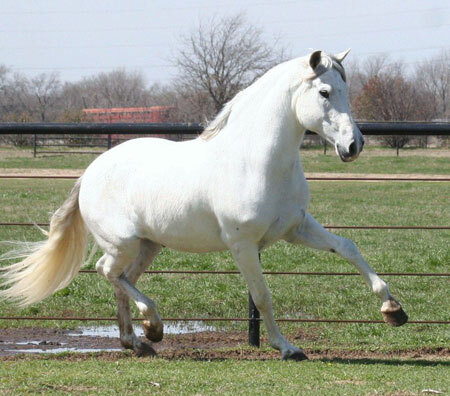 I have told everyone that she has stallions that I would trust implicitly - these are truly gentle souls that have found a home where they are respected and they reflect back the same respect and loving nature. Terri is to be commended for her lovely creatures and her intuitive talent in matching them with their new owners. 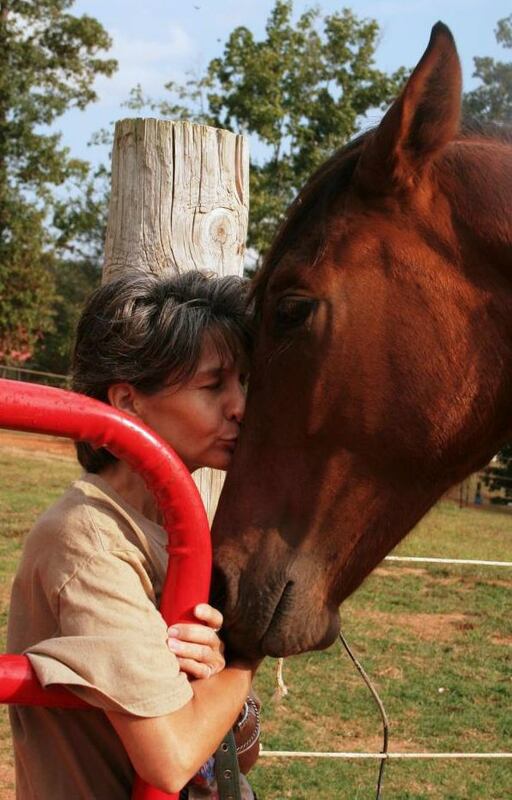 I am honored to share my life with such a magnificent creature and to also be able to call Terri a dear friend. 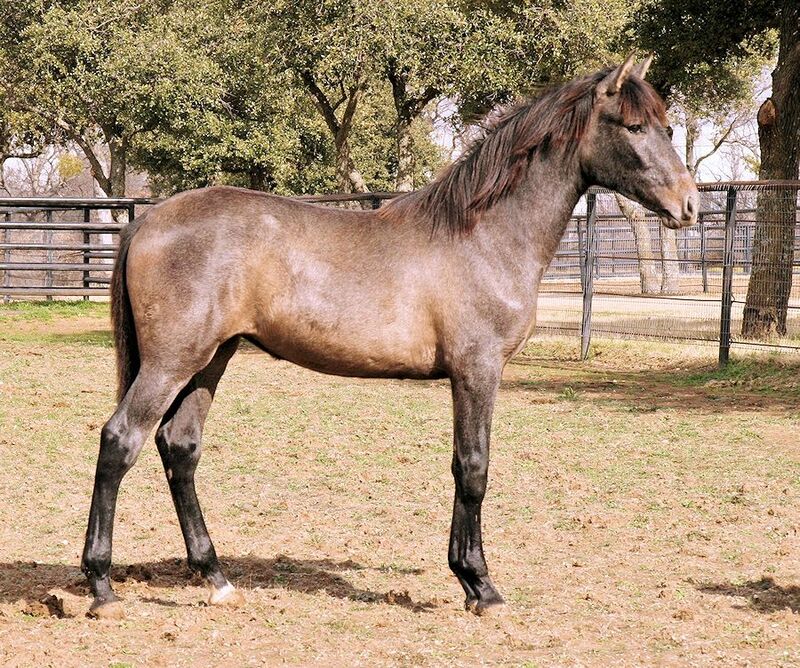 An alphabetical list of all horses sold by Herradura and Half-Andalusian foals.